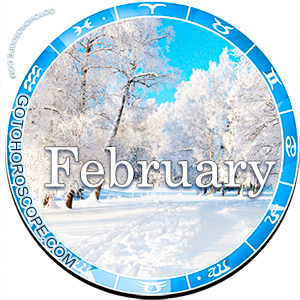 February 2013 Horoscope Aquarius, free Monthly Horoscope for February 2013 and Aquarius Astrology Forecast for the month ahead. 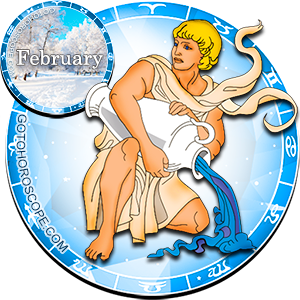 Aquarius February is the month when money matters are closely connected to your ideals and your feelings of success. On the 1st of February when Mars leads the way you will find that when you keep money aligned with what you believe your cash flow will increase. If you want to use your funds for selfish purposes, you may find that funds dry up. Find what you want to do and put your whole self into working hard at making our career good. Try and find time on the 1st of February to look good and possibly change the way you wear your hair or change the style of clothes you wear. 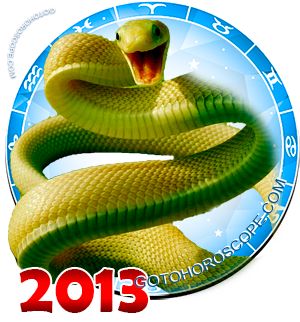 On February 10th you may find that your relationships are taking a new direction. You will be able however to take the initiative in your relationships and finish unfamiliar tasks. On the 23rd as Mercury retrogrades into your house o resources you may want to review your financial records and make sure you have everything buttoned up. On the 25th of February examine what your priorities are and restate our expectations to others. The 6th and 7th of February prove that you are highly charming. You have Venus; slick sextile into Uranus on the 6th that will provide a way for you to lead people and convenience them where you want them to go, and they will think it is their own idea. You will be able to paint incredible speeches that keep you from with conflicts career possibility, success, love and admirations. On February 9th through the 11th you need to be patient as the Sun and Uranus semi square together for you to act impulsively. You may have brilliant new ideas but you tend to go too fast in in bringing these up in the schedule. On February 10the you will be provoked into careless behavior. You are also going to be highly social these couple of days. Watch out that you do not do anything that will get you into trouble. On the 15th and 16th of February, you are strong physically and very productive at work. Your health is great, career is great and home live is very good. Take advantage of these two days to store up positive feelings. February 19th and the 22nd because relationships to be a bit chaotic while Venus semi squares To Uranus. You may find that on February 19th your tastes sudden shift and the potential for boredom are very high. Playiing games with your love will cause your partnerships and relationships to be permanently altered.